Too bad... I liked him coming out of Missouri. He was also good on special teams. Gets me wondering if players like this that are studs in college and come into the NFL and get relegated to backup/special teams roles, do they feel like they are not performing well enough and feel like they have to take PEDs? Back-of-the-roster guys probably feel that pressure. Yea its really kind of sad. Guys like Brothers are going to thrive in the alt-NFL leagues that are coming out I feel. Zimmer said Dalvin will be limited in OTAs but good to go for training camp. A good idea imo. Making sure our future HOF RB is 110% first. Then let him play a little longer in the pre seasons games. I hope he heals like AD did. 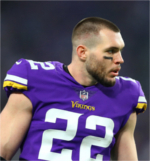 I am SOOO excited to see him again, he was my favorite in that draft before Rick made the wise choice to make him a Viking! Just a stat I found interesting: the last three years 79% of all passes travel between 0-19 yards in the air. Last season it was 94%. We put too much emphasis on "deep passing accuracy." dead_poet wrote: Just a stat I found interesting: the last three years 79% of all passes travel between 0-19 yards in the air. Last season it was 94%. I think you are right. Maybe Teddy can make himself a great QB some day. But its still nice to have Cousins, who can let the ball fly deep. Maybe if we can pick up a speedy WR, like, say, Miller, we would have that missing piece on offense to put us over the top. 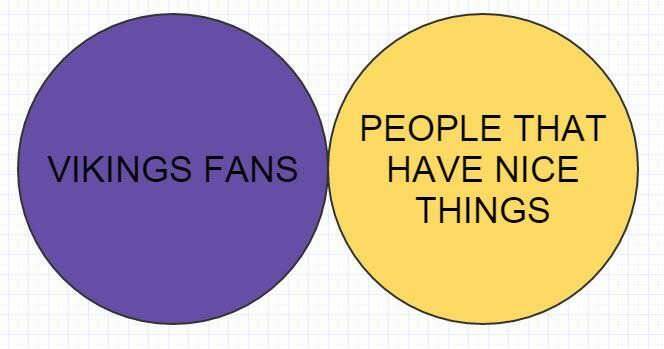 We'll always have Moss and Harvin. Herd Rick talking about a new high tech draft board in a recent press conference. Here it is. 808vikingsfan wrote: Herd Rick talking about a new high tech draft board in a recent press conference. Here it is. Well that's pretty awesome. Thanks for sharing.